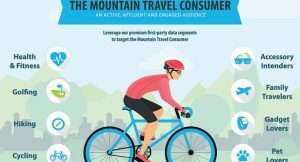 From gadget lovers to health and fitness enthusiasts, The Mountain Travel Audience Platform offers several options to reach Mountain Travel Consumers and target based on demographic, interest and geography. Leveraging our 1st-party data of over 4 million unique users, global brands can engage with this audience at every point in their journey. 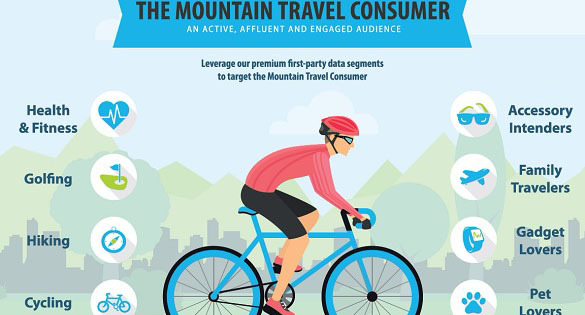 Click here to download our Mountain Travel Consumer segment infographic.